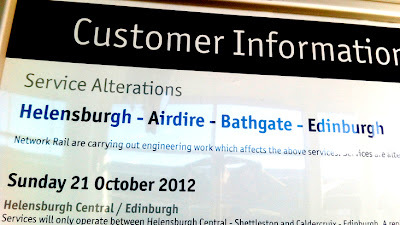 I've never been to Airdrie and wouldn't, therefore, presume to know anything about the place. It's one of those Scottish towns that make an appearance every Saturday teatime when the football results are announced. Anyway, Airdrie may well be very pleasant. 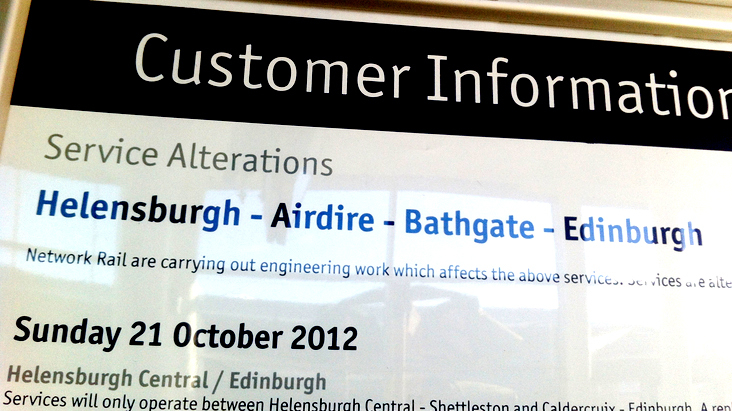 ScotRail clearly has a need for a Proofreader.